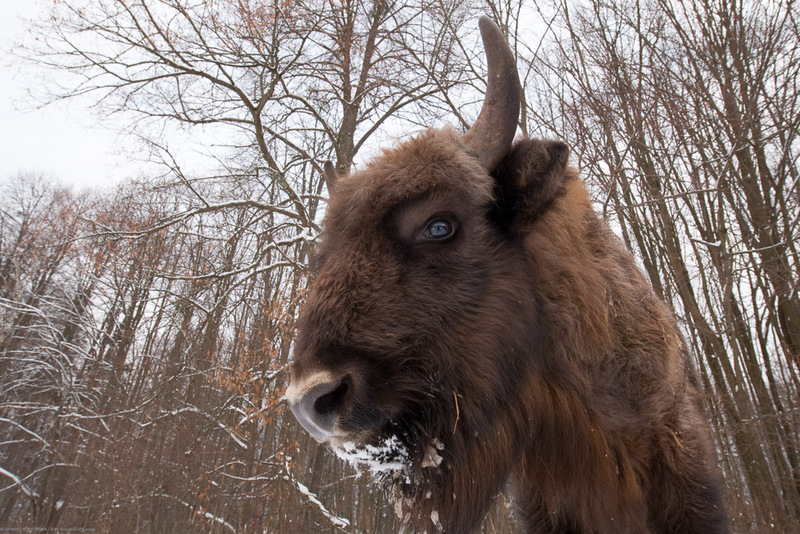 Rewilding Europe supports the efforts to bring back the European bison (also called the wisent) to its ancestral lands. Establishing new wild bison populations in several of our rewilding areas, and assisting the return of bison also to other places in Europe. After the Ice Age, man hunted the bison so intensively that it was forced into the most remote corners of Europe. The last wild animals were killed by soldiers and poachers during World War I and the Russian revolution. The last wild bison in Europe died in Poland in 1919, while the last wild bison in the Russian Caucasus died in 1927. The species only survived thanks to 54 animals that were kept in different zoos, originating from only 12 founder animals. 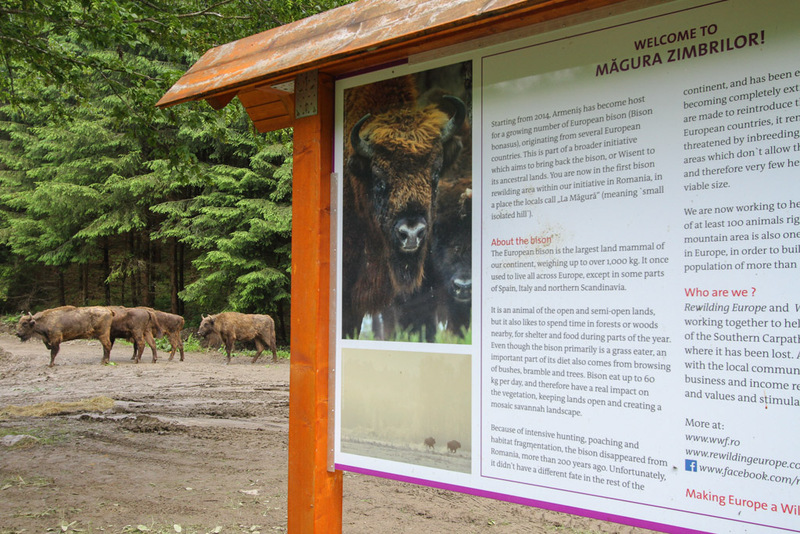 In 1954 the first bison were released back into the wild in the Białowieża forest in Poland, followed by reintroductions in several other countries. Thanks to the work of many organisations, zoos and breeding centres, scientists and individuals, the bison is rescued from extinction. However, despite 100 years of conservation efforts, the species is still in great danger, and is listed as ‘vulnerable’ on the IUCN Red List. The main problem is that very few areas yet volunteer to receive bison for reintroductions. 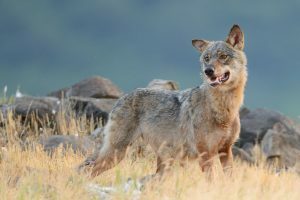 There is also lack of knowledge about the animal, there is habitat loss and fragmentation, a narrow genetic base that leads to weak resistance against disease, and a lack of European strategy which is then supported by many national authorities. Rewilding Europe works to create the possibility for large herds of bison to once again roam Europe, living side by side with other keystone species like wild horses, aurochs, deer and predators like the wolf. 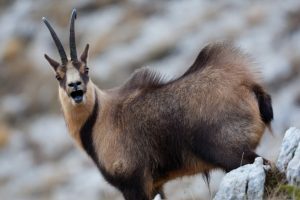 With a vast protected area network, Natura 2000 and Emerald Networks, there seem to be ample possibilities for building viable meta-populations for the species in Europe. We are helping the European bison to come back to natural densities in some key ecosystems, and preparing new areas for the species to expand into. Our largest bison re-introduction project is in the Southern Carpathians in Romania, where we are releasing over 120 bison into the wild. Since most Europeans don’t even know that the bison exists, we are showing it to them, through an intense mass-communication effort. 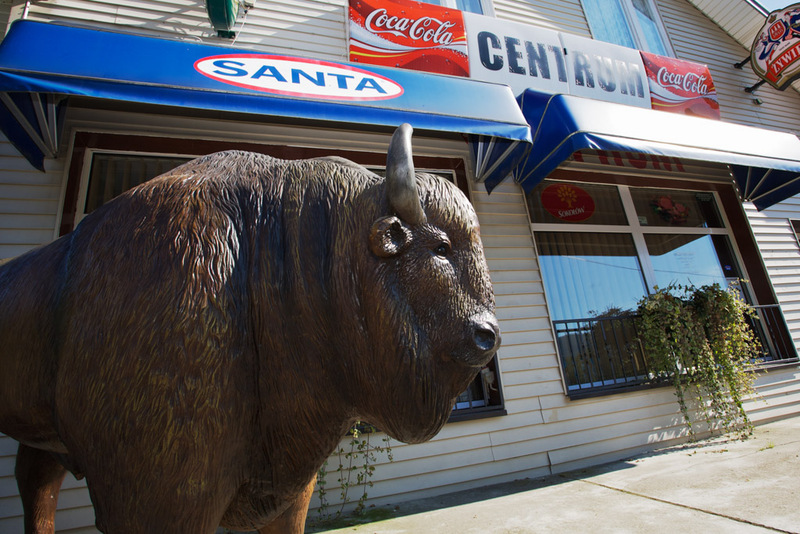 We actively invest in business development around the return of the bison, directly linking bison conservation with local economic benefits. We are of course working closely with the leading bison experts and their organisations from across Europe. We invite all other willing and able partners (land owners, land managers, scientists, forestry officials, National Parks) to join us in this trail breaking endeavor. The bison is a very impressive animal, weighing up to over 1,000 kg, which once used to live all across Europe, except some parts of Spain, Italy and northern Scandinavia. Contrary to popular belief, it is really an animal of the open and semi-open lands, but it also likes forests or woods nearby, for shelter and food during parts of the year. The bison primarily is a grass eater, but an important part of their diet also comes from browsing of bushes, bramble and trees. Bison eat up to 60 kg per day and have real impact on the vegetation, keeping open lands open and creating a mosaic landscape. 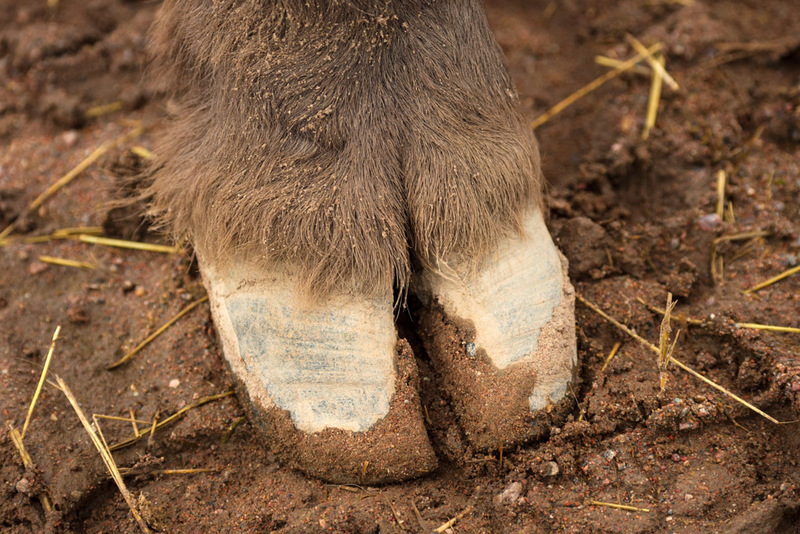 Besides grazing in the front end, it tramples in the middle, wallows in mud holes, rolls in sand pits that it has kicked up, and then fertilizes from its rear end. All of which has great importance to the variety of ecosystems. It is evident that the European bison is an ecosystem engineer; a keystone species that plays an important role in European landscapes and facilitates a wide variety of other species through its behaviour. Apart from its important ecological role in European nature, Rewilding Europe believes that European bison can make a positive change for rural development in remote corners of Europe experiencing rural depopulation and land abandonment. We therefore chose the bison of one of the flagship species for our rewilding activities. 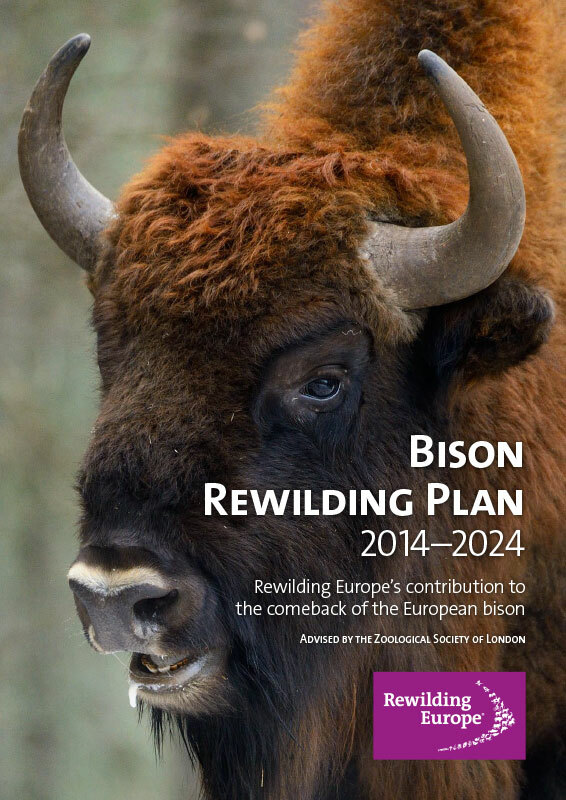 In 2014, we published the Bison Rewilding Plan 2014–2024, where we demonstrate our planned contribution to the conservation of the European bison. It describes Rewilding Europe’s vision of achieving its goal of viable populations of free-ranging herds of bison being established and restored across Europe and integrated into Europe’s landscapes alongside human populations. Specific objectives are set out to achieve the two vital goals for bison conservation in Europe: 1) to establish viable and self-sustaining populations of bison across Europe in rewilded and connected habitat and 2) to achieve long-term protection and support free-ranging bison by means of improved legislation, community outreach, education and the establishment of wildlife tourism. 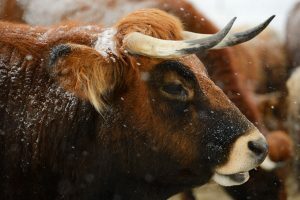 Since 2014, Rewilding Europe together with WWF in Romania has started to reintroduce the European bison into the Țarcu Mountains in the Southern Carpathians. 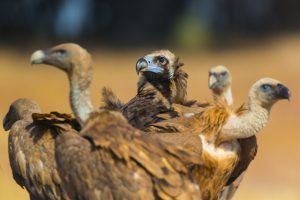 From 2016 onwards, the European Commission supports this spectacular reintroduction initiative under the LIFE Nature programme. With tremendous support of the local communities we are gradually building up the population that is now roaming freely. So far, 35 bison have been brought to this area, with many more to follow in the coming four years. Read more on the LIFE Bison page. 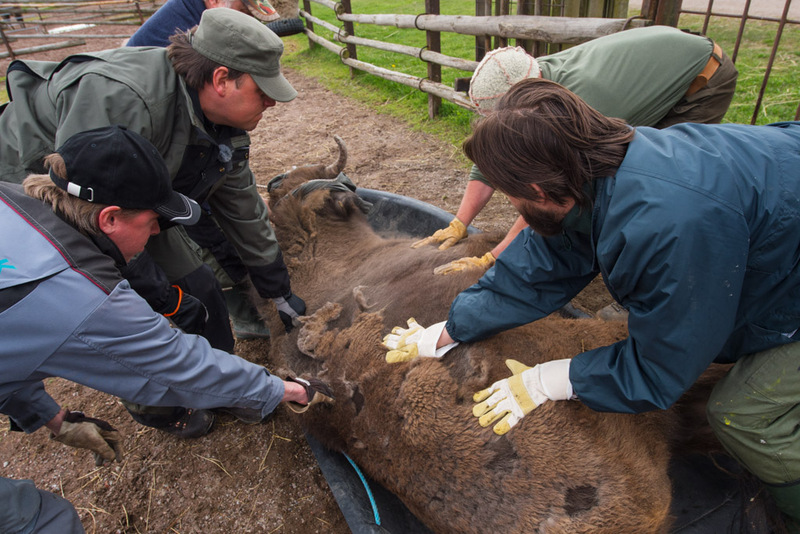 Rewilding Europe and partners are carefully breeding European bison in a number of locations. These breeding locations are all members of the European Rewilding Network. Together with bison originating from European zoos and wildlife parks, these animals are used for the translocations and reintroductions. 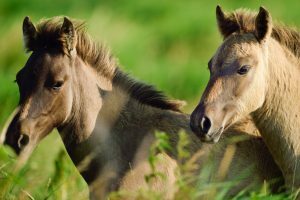 The main breeding locations are Kraansvlak, Veluwe and Maashorst in the Netherlands, and Studen Kladenetz in Bulgaria. So far, 18 calves have been born since 2016. The European bison that Rewilding Europe and its partners are breeding and reintroducing, are all part of the European Wildlife Bank. By the end of 2017, 51 bison are in the bank and 35 bison are roaming free in the Southern Carpathians, exploring their new home. For this species it is crucially important to select the genetically right animals for the reintroduction programme. To follow the range expansion and behaviour of the released bison, GPS collars are fitted to different animals in the herds, mostly on leading cows. Our bison rangers in the Southern Carpathians are tracking the bison on a continued basis, which helps us to understand their daily and seasonal movements. This allows us to anticipate possible conflicts with humans (for instance animals coming too close to villages) and bison tracking with nature tourists through the European Safari Company. In the Southern Carpathians, we are supporting bison tracking and watching as part of nature-based tourism development. Trips are bookable through the European Safari Company. A visitor center has been set up in Armeniș, and a Fly Camp run by local guides is an experience of a life-time.